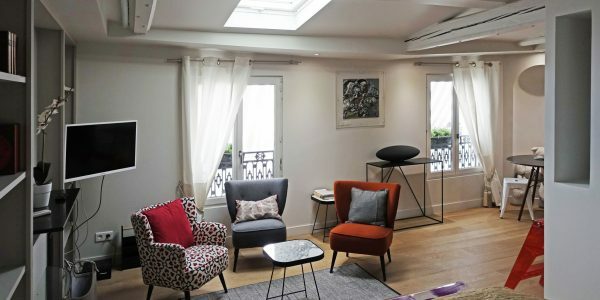 Place du Docteur Félix Lobligeois, beautiful studio in the Batignolles neighborhood, on the 4th floor with 2 large double-paned windows on a courtyard, very bright and quiet. 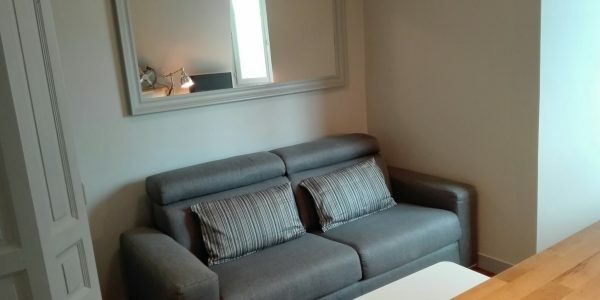 Queen sized sofa bed “quickie”, lots of storage and large closet. 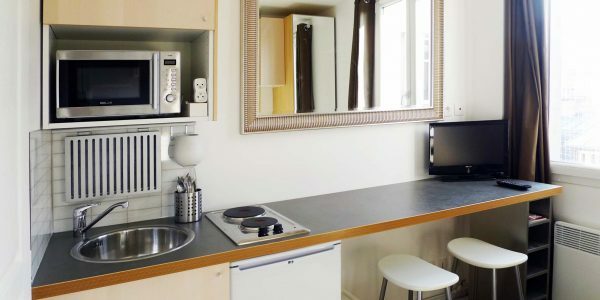 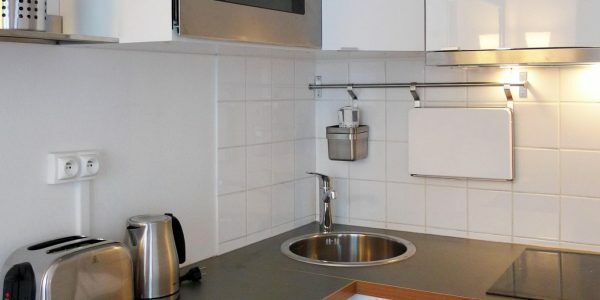 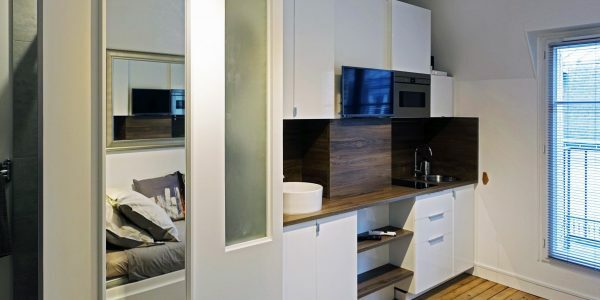 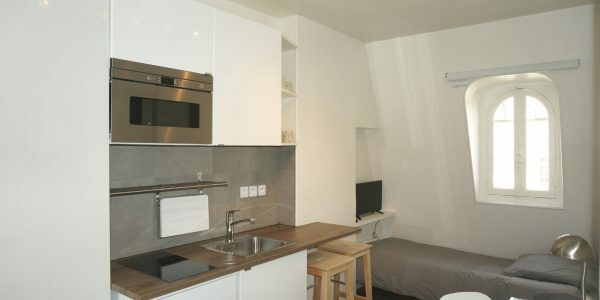 Fully equipped open-plan kitchen: microwave oven, refrigerator, ceramic hotplates. 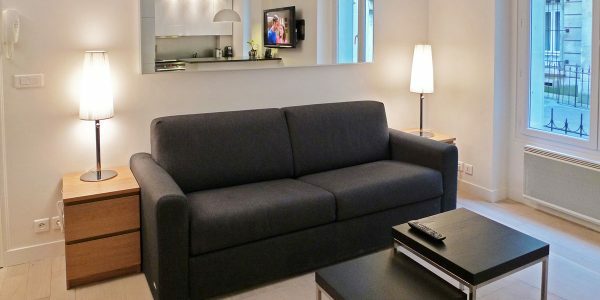 LED TV with cable, internet (WIFI). 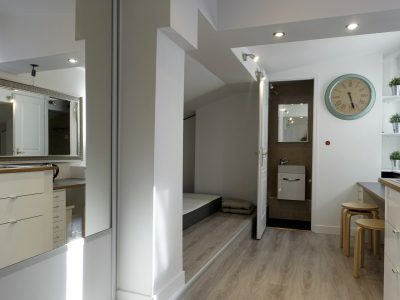 Beautiful bathroom with bathtub, sink and storage space, and washer dryer. 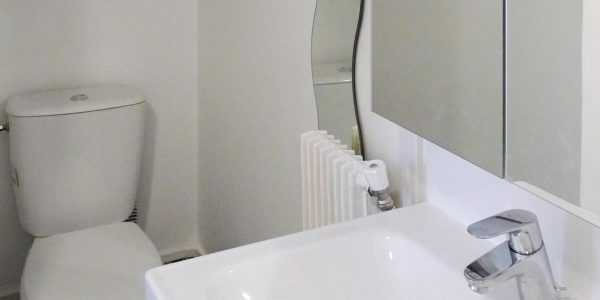 Central heating from the building. 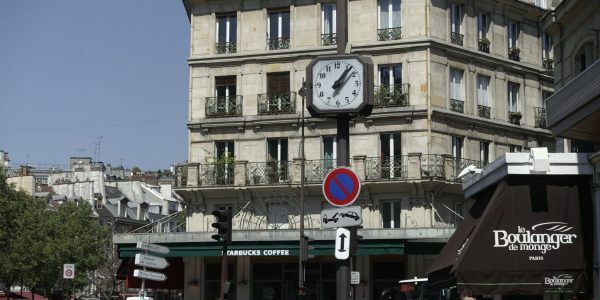 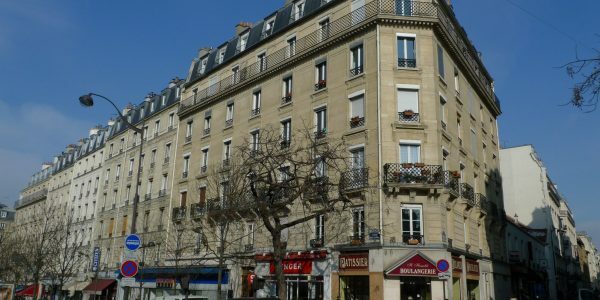 Lively neighborhood with plenty of shops, and Velib and Autolib stations close by. 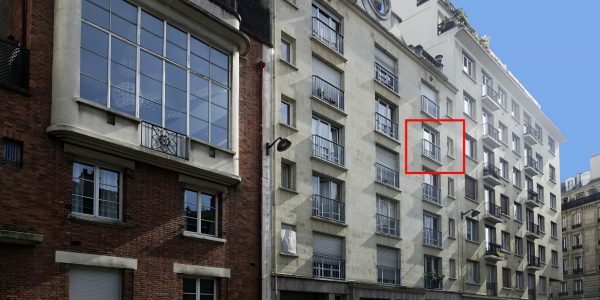 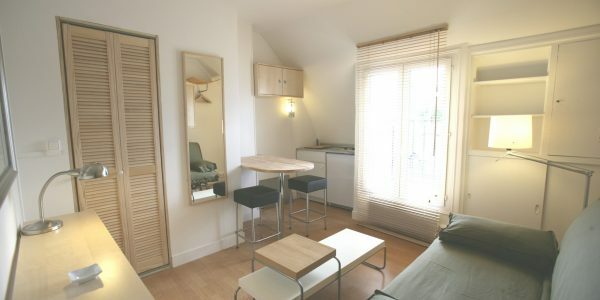 Studio rue Juliette Lamber on the 6th floor with an elevator in a beautiful building on a small quiet street. 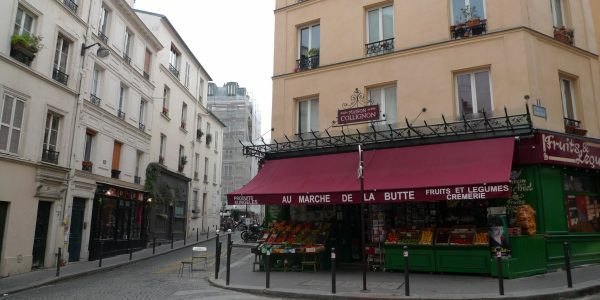 ..
Rue Etienne Jodelle. 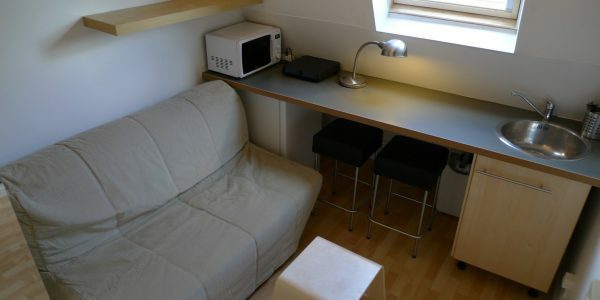 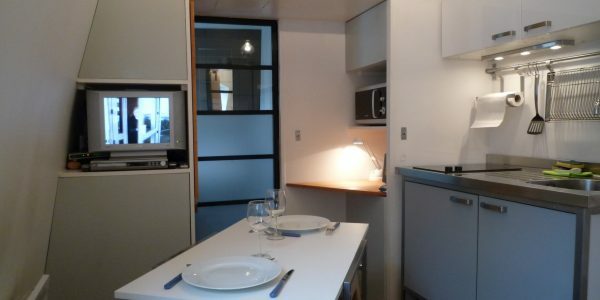 Beautiful “designer” studio on the 6th floor with an elevator, in a very quiet residential enclave. 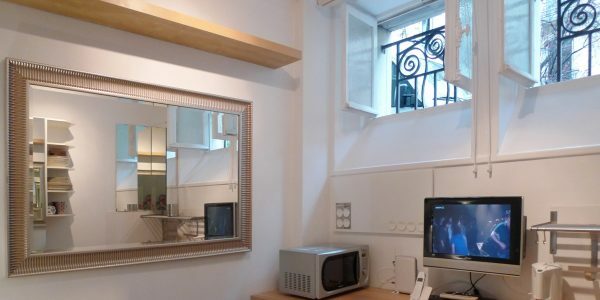 2 windows ..
Rue d’Alleray, a very bright and quiet studio on the 1st floor of a small building with 2 south facing ..
Rue Turgot, small, very quiet and bright studio on the 5th floor with an elevator in a beautiful limestone building, .. 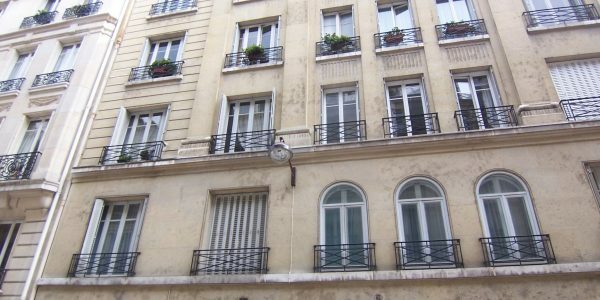 Studio on the 3rd floor, rue des Trois Frères, in a secure building with 2 entry codes. 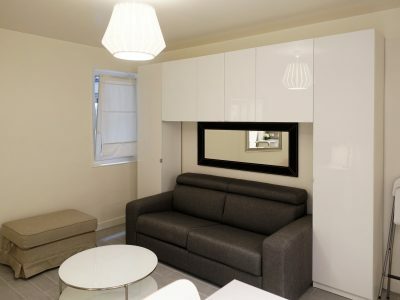 Full size sofa ..
Boulevard Suchet, in a beautiful and secure building with entry codes and building caretaker, a beautiful 18 square meter studio ..
Rue Rodier, studio on the ground floor in a courtyard, very quiet with 3 windows, in a beautiful and secure ..
Rue Thimonnier in a beautiful and secure building, a small studio on the 6th floor with an elevator, gorgeous views ..
Rue Davioud, in a beautiful building with an entry code and building caretaker, a studio on the 6th floor with .. 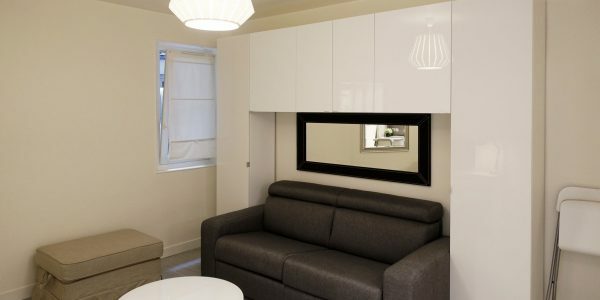 Studio apartment rue Quentin Bauchart, on the 7th floor accessible with a service elevator, in a beautiful 1930’s building. 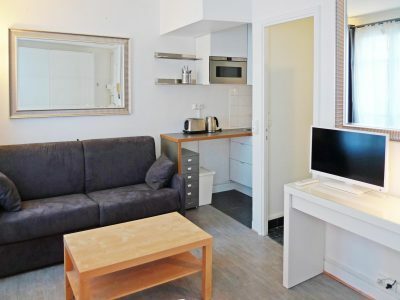 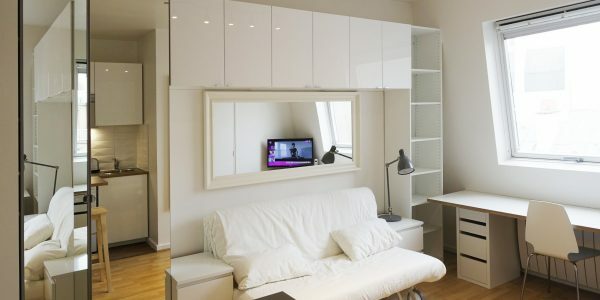 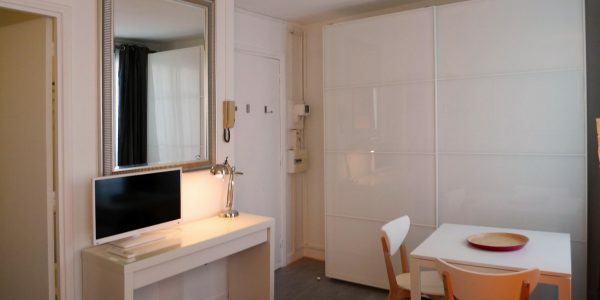 Queen ..
Rue de Prony, small studio in a beautiful Haussmann era building with and elevator and entry code. 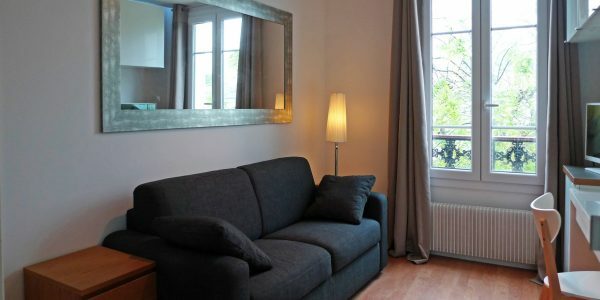 Full size sofa bed ..
Rue Sébastien Mercier, studio apartment on the 3rd floor with elevator in a listed building built in the 1930’s, with ..
Avenue Raymond Poincaré, studio apartment in a gorgeous building, on the 6th floor accessible through a service staircase. 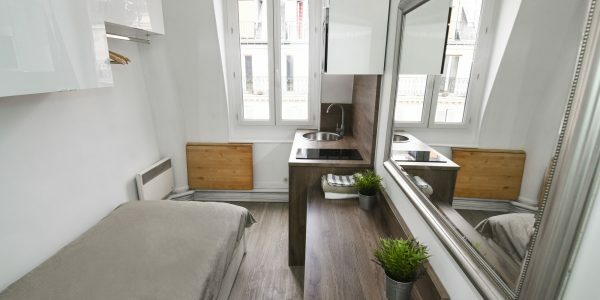 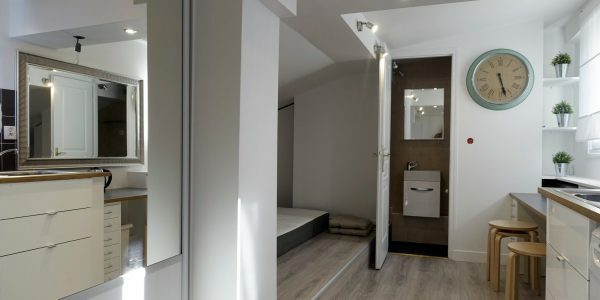 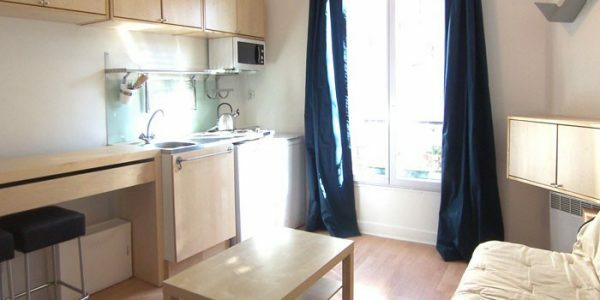 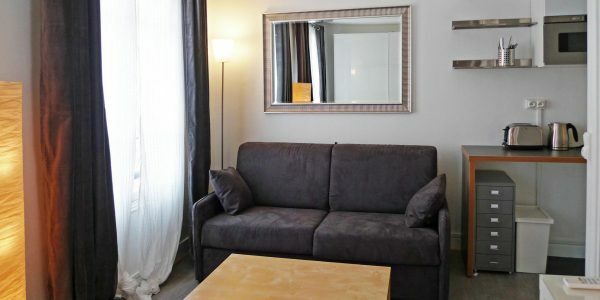 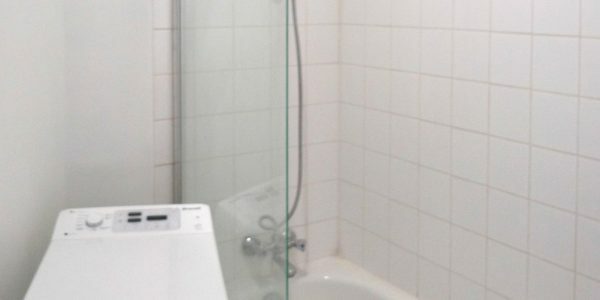 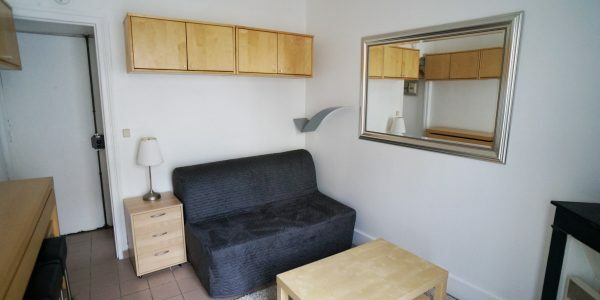 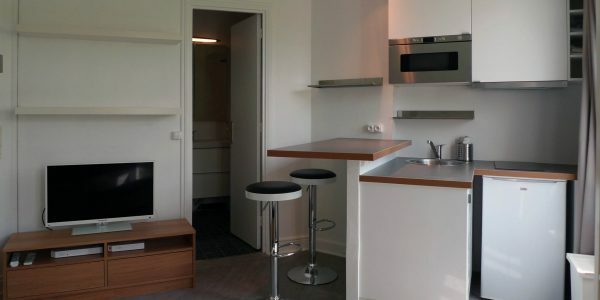 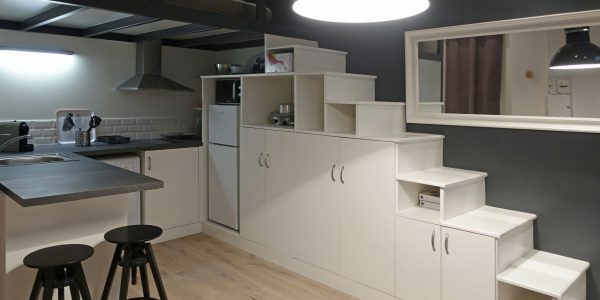 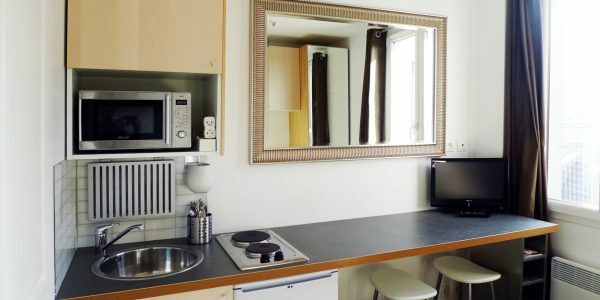 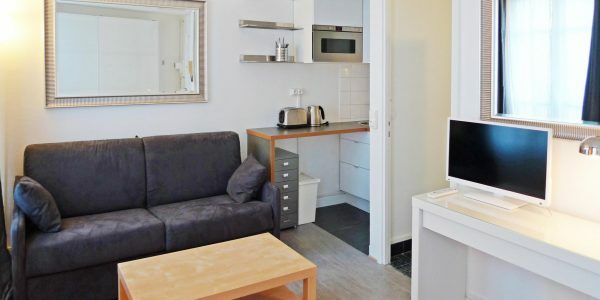 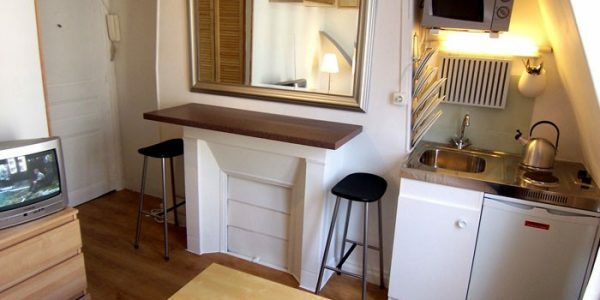 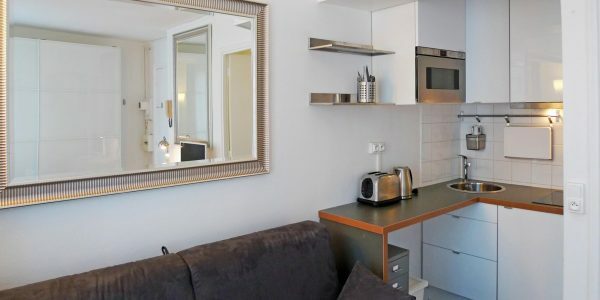 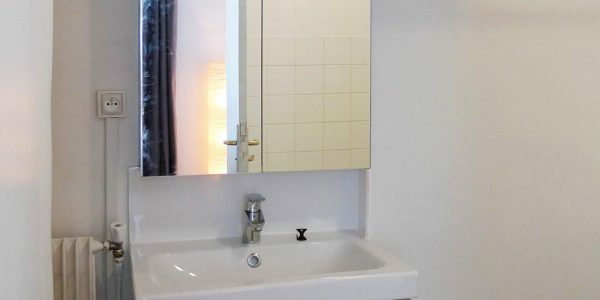 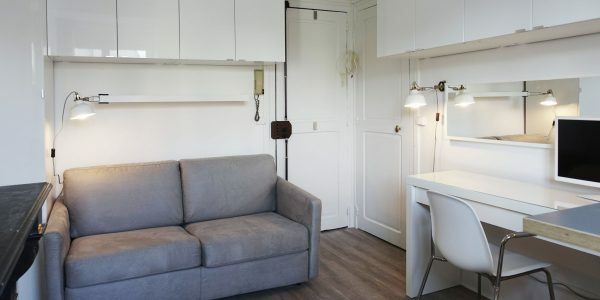 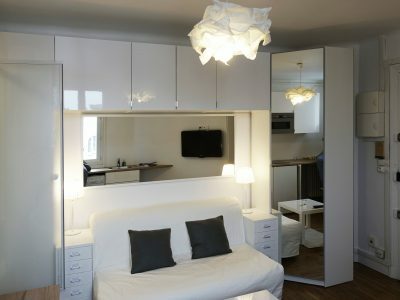 Single bed, ..
Avenue Raymond Poincaré, small studio apartment in a gorgeous building, on the 6th floor accessible through a service staircase. 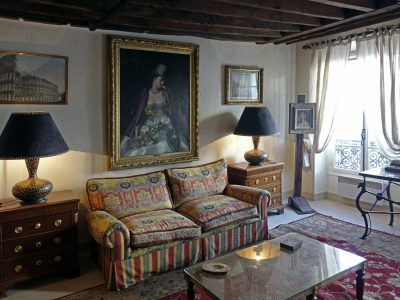 Trundle ..
Rue de la Banque, in a beautiful 18th century limestone building (former hôtel particulier), gorgeous studio apartment on the 6th ..
Rue Picot, charming little studio apartment in a beautiful building, on the 2nd floor, with entry code and building caretaker. 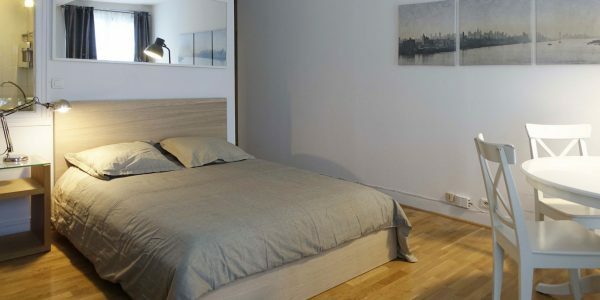 ..
Rue Le Châtelier, gorgeous studio on the 6th floor of a beautiful bourgeois building with and elevator, entry code, and ..
Beautiful studio avenue Paul Doumer, in a high-quality building (secure and soundproof) with high ceilings. 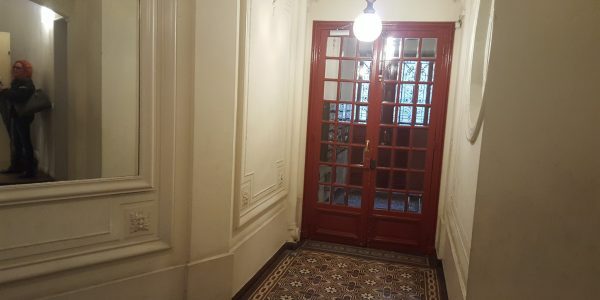 Large living space with full ..
Rue de Chazelles in the 17th arrondissement, a renovated ground floor studio apartment close to the Parc Monceau and Courcelle ..
Rue Chevreul, on the 6th floor (with an elevator) of a beautiful building with entry code and intercom. 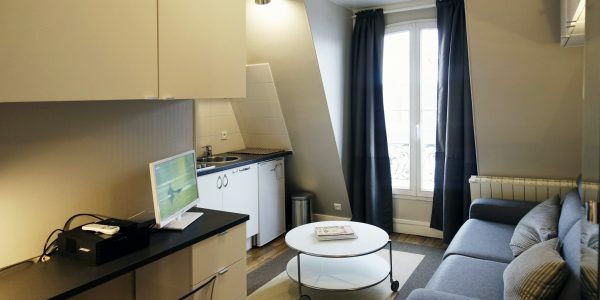 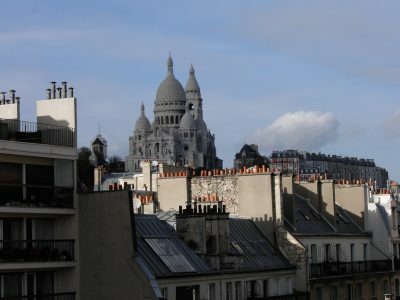 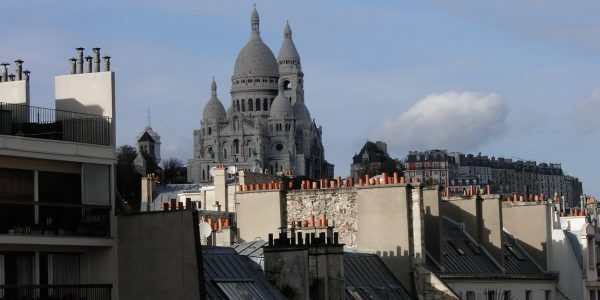 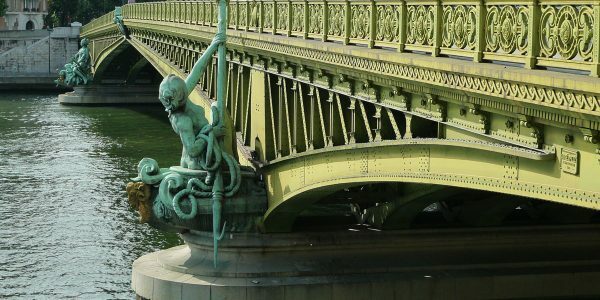 Very bright ..
Rue de Monttessuy, a 100 meters away from the Eiffel tower, luxurious, bright and quiet studio on the ground floor ..
Rue de la Tour d’Auvergne, a studio on the 5th floor (no elevator) in a beautiful building with a caretaker .. 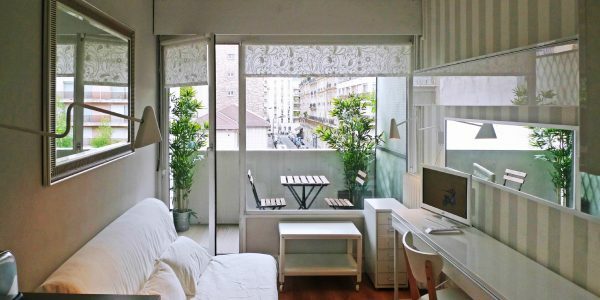 Very sunny and quiet studio apartment with a nice view, on the 4th floor with an elevator, in a gorgeous ..
Rue Lamartine charming unique studio under the roofs, 22 square meters (floor space) divided into 2 spaces (night and day) ..
12 square meter studio in a beautiful Haussmann era building on the 6th floor with an elevator. 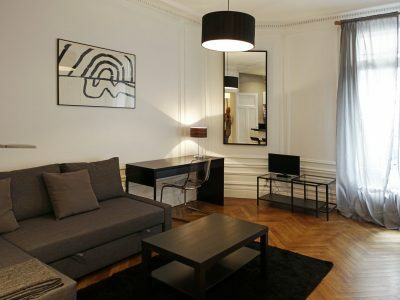 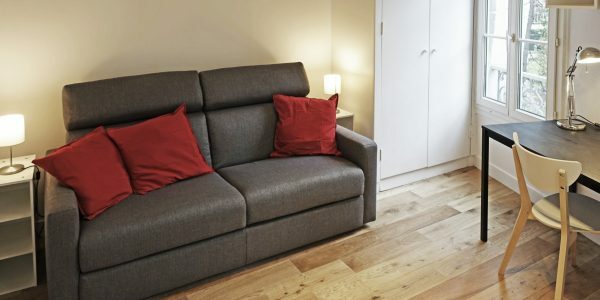 Full size sofa ..
Rue de la Gaîté, in a beautiful building, large studio on the 3rd floor (no elevator) on the street. 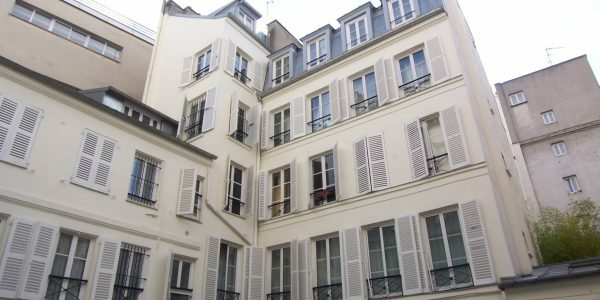 Nice ..
Rue Froidevaux, near Montparnasse, studio on the 8th floor with an elevator in a building from the 1930’s with entry ..
Rue de la Faisanderie, on the 8th floor with a service elevator in a beautiful building with entry code and ..
Rue Michel Ange, beautiful south facing studio, in a beautiful building on the 7th floor (no elevator), large window with ..
Rue Rouelle, a beautiful studio with an equipped balcony, on the 3rd floor with an elevator, south facing with no ..
Rue Delambre in the heart of Montparnasse, beautiful studio on the 5th floor with an entry code and building caretaker. 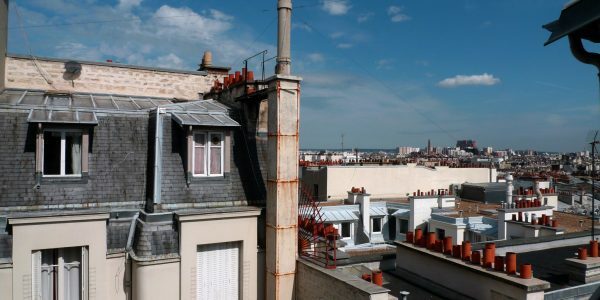 ..
Rue CAPRON (charming little street behind place Clichy), in a private cul-de-sac with a caretaker, a very bright studio overlooking ..
Rue Capron, studio in a charming little street close to place Clichy. 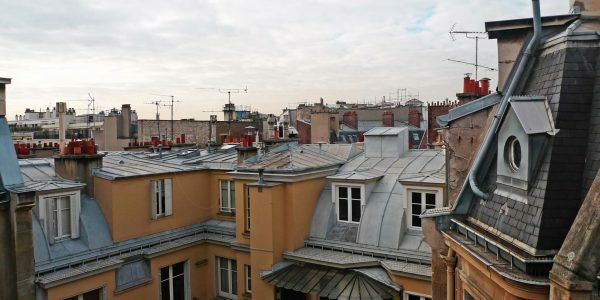 Overlooking a courtyard with trees, on the 3rd ..
High standing neighborhood, avenue Marceau, 5 mins away from the Champs Elysées. 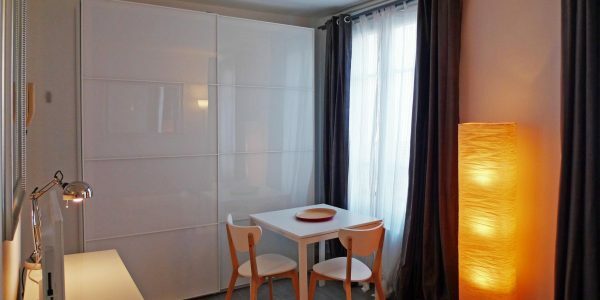 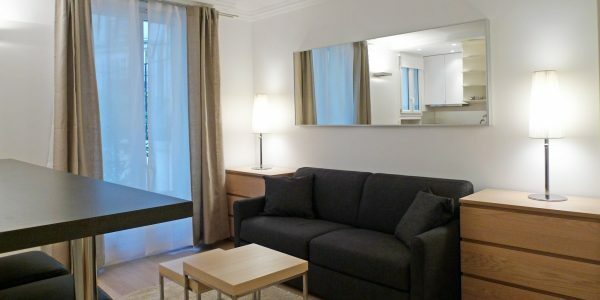 Studio apartment on the 6th floor (no elevator) ..
Avenue de Villiers Paris 17th, beautiful studio on the 6th floor (no elevator) with small balcony, south facing, in a ..
Rue du Fer à Moulin, studio apartment on the 6th floor of a beautiful Haussmann era building with an elevator. 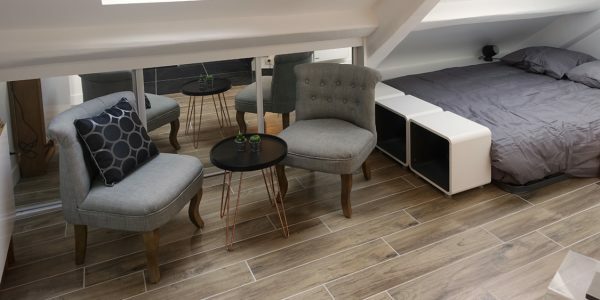 ..
Rue Brunel in a beautiful and secure Haussmann era building, a very bright and quiet studio on the 5th floor ..
Rue Brochant, very bright studio on the 6th floor with elevator. 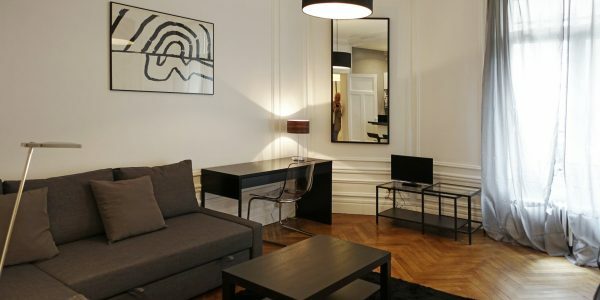 Full size sofa bed, LED TV, large closet and ..
Rue de la Banque on the 6th floor of an 18th century building in limestone with an elevator (former hôtel ..
Gorgeous luxury pied-a-terre rue du Boccador. 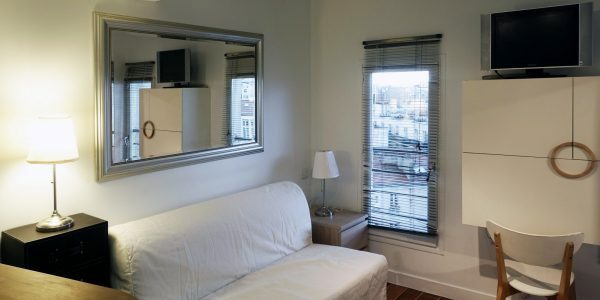 In the heart of the Triangle d’Or, a very bright ground floor studio in ..
Place du Docteur Félix Lobligeois in the Batignolles neighborhood, south facing studio on the 4th floor with 2 large windows ..
Place du Docteur Félix Lobligeois, in the very sought after Batignolles neighborhood. 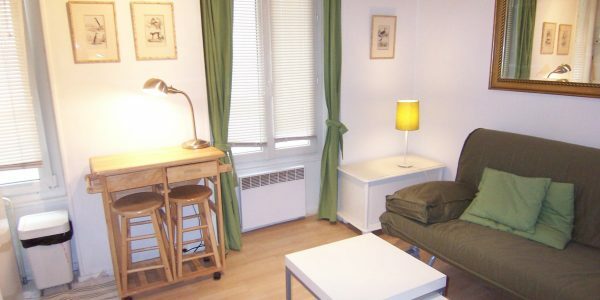 Studio on the 4th with a south facing ..
Square Villaret de Joyeuse (small quiet street), in a bourgeois building, with entry code and building caretaker, on the 7th .. 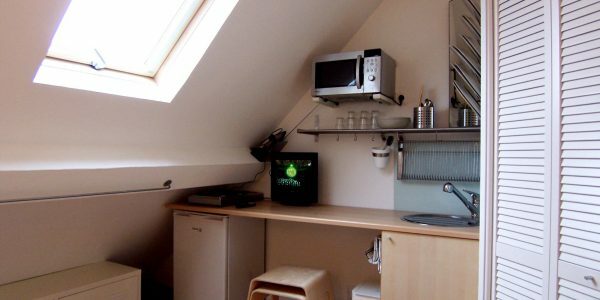 Ground floor studio in a gorgeous building. 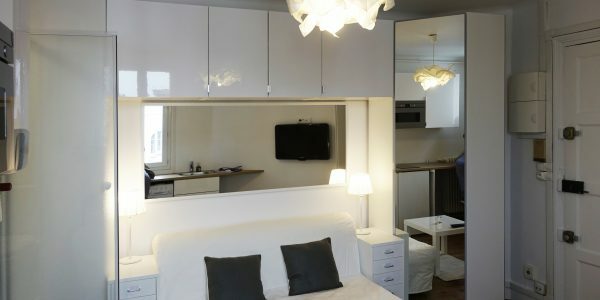 Twin bed, living space with kitchen (hotplates, combined oven and microwave, refrigerator), plasma ..
Square Alboni on the 6th floor (no elevator), accessible from the service staircase. 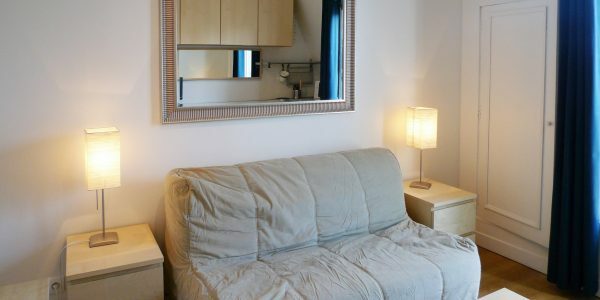 Quiet and bright studio under the roofs, ..
Small quiet and bright studio apartment on the 6th floor with service elevator in a gorgeous building. 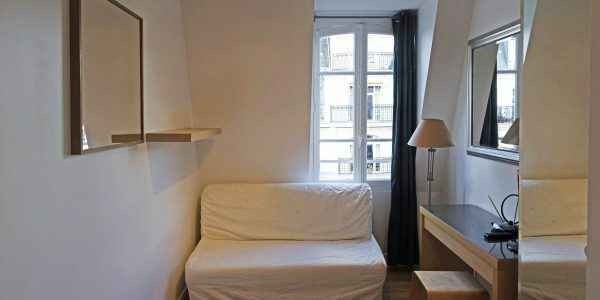 Mezzanine bed (3.2-meter-high ..
Rue de la Banque, beautiful studio on the ground floor with reinforced door. 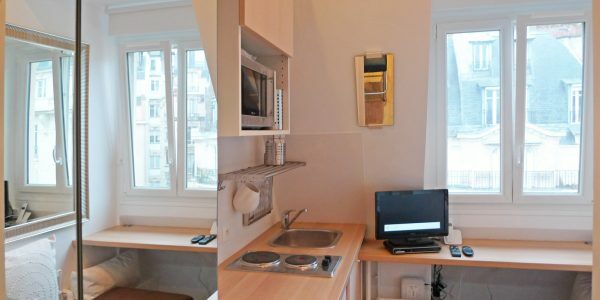 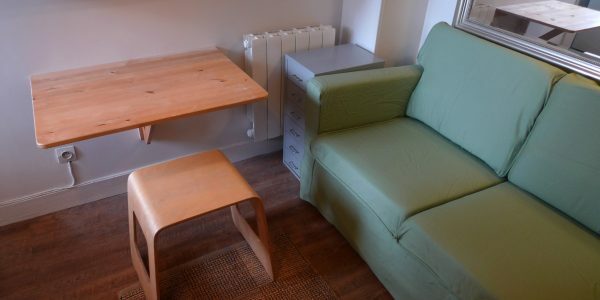 Very high ceilings and a full-size bed ..
Rue de l’Abbé Rousselot, beautiful 12 square meter studio, very quiet and bright, with an elevator. 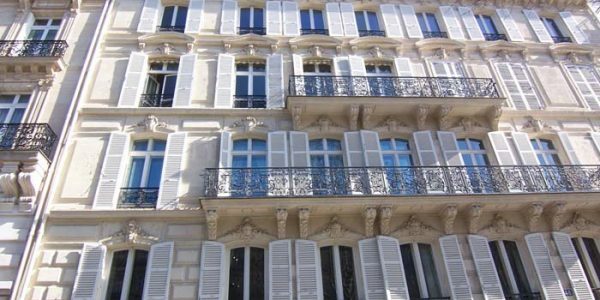 Living space with a ..
Rue de l’Abbé Grégoire, in a gorgeous and secure bourgeois building, charming studio on the 6th floor (no elevator). 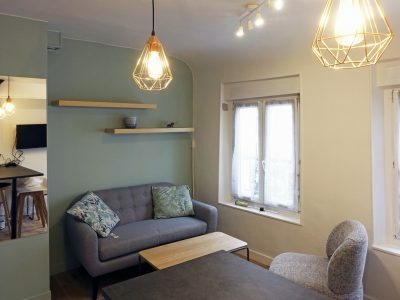 Mezzanine ..